Going gluten free doesn’t mean you have to give up all of your favorites in life! Delight your tastebuds with these scrumptious gluten free cake recipes that are so delicious that you’ll never know they’re gluten-free! This decadent flourless chocolate cake has been one of the favorites in my house long before I’d ever heard of gluten free! Be sure to cut small pieces, as it’s too rich to have big slabs. Serve it with fresh whipped cream – raspberries are wonderful as well! So many gluten free cakes are heavy and dense. The lack of gluten means that air molecules aren’t trapped as well, so the cake doesn’t rise as much. 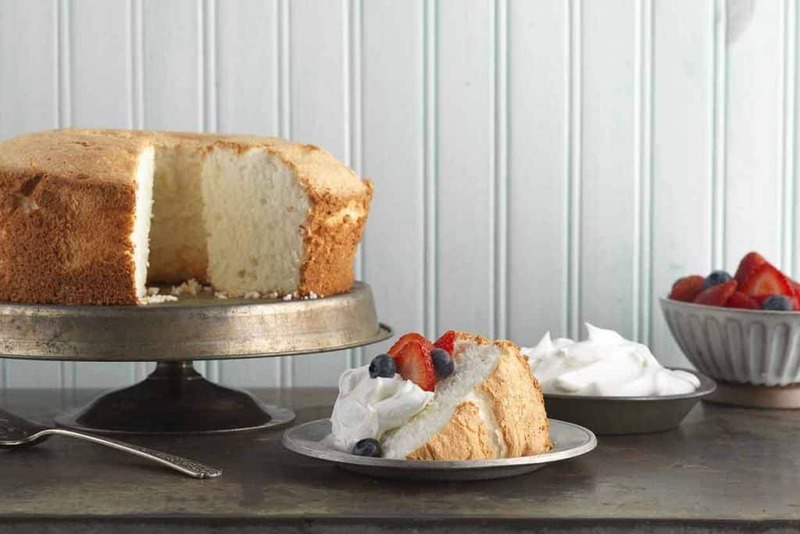 That’s definitely not the case with this light and airy angel food cake! The high-rising cake is so light and tender that no one will ever suspect that it’s gluten free! 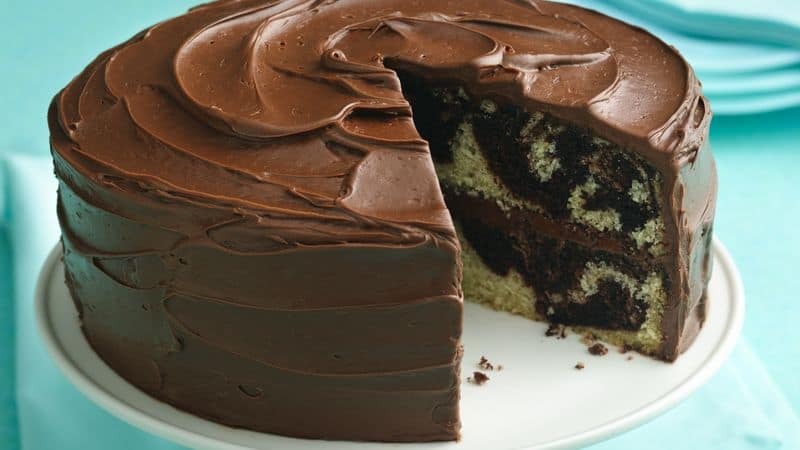 No need to choose between chocolate and vanllla cake – this scrumptious marble cake features both in one delicious treat! This easy-to-make treat features cake mixes, so it takes just moments to mix up. 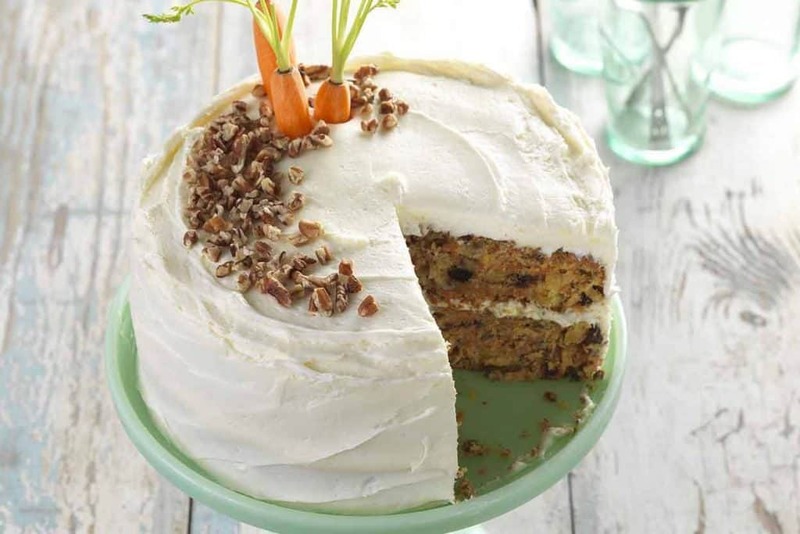 My husband’s favorite cake is carrot cake, so I was especially delighted to come across this delightful gluten free carrot cake recipe from King Arthur flour. This moist cake starts with a King Arthur cake mix, but you add carrots, nuts, raisins and pineapple to create your own recipe. Try soaking the raisins in pineapple juice for a little added moisture and flavor! This is the first gluten free chocolate cake that I’ve seen that looks as fluffy and chocolate-y as regular chocolate cake! You’ll need to use an electric hand or stand mixer to make this cake; you can’t mix the ingredients thoroughly enough when mixing by hand. 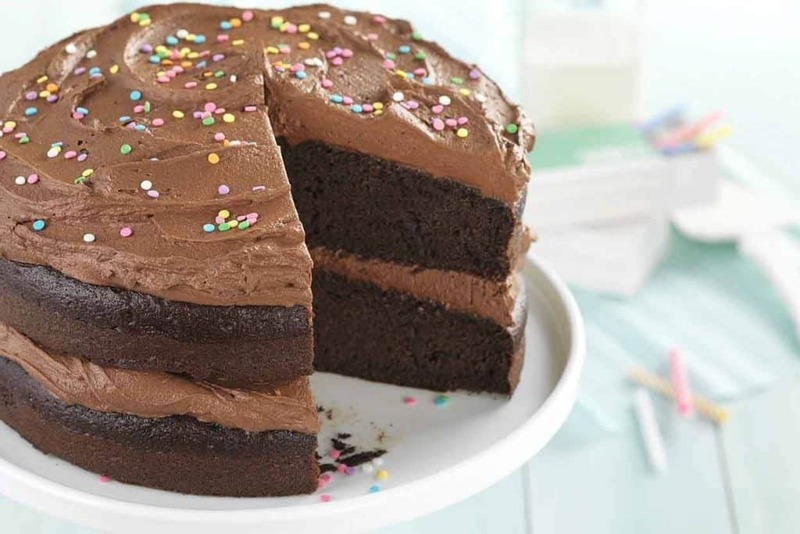 They don’t offer a chocolate frosting recipe on the site, but my go-to-chocolate frosting recipe is the one at Hershey’s. In the fall, my thoughts always turn to Halloween, sweaters, pumpkin spice lattes – and pumpkin cake! 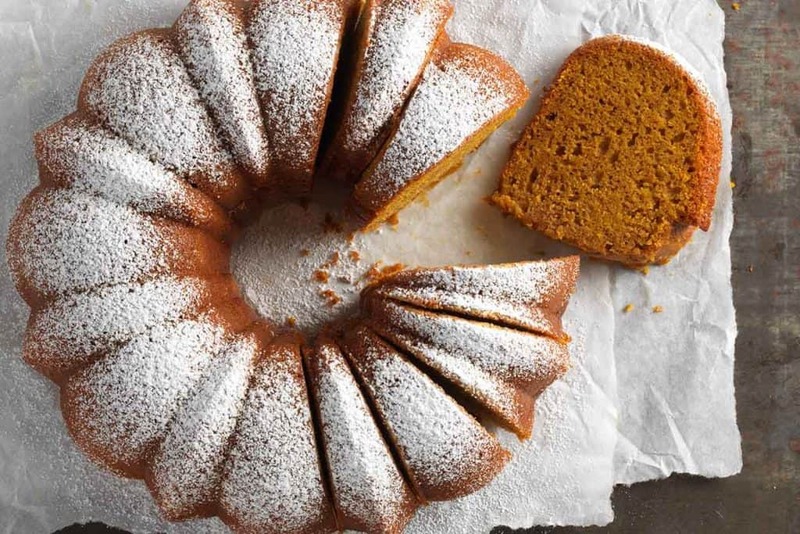 Doesn’t this gluten free pumpkin cake just make your mouth water? 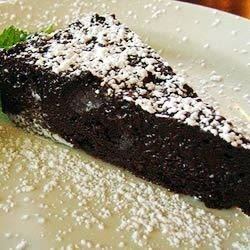 I’d love to try this with a cream cheese glaze rather than just a powdered sugar dusting!